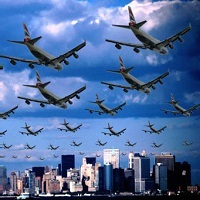 Advancement in all kinds of transportation systems has also helped in the growth of Aviation industry. With the emergence of private players in the sector, this sector has experienced unprecedented progress in recent time. The numbers of job vacancies are quite high in this industry and thus the demand of the professionals is also quite high. The primary requirements for the professional in this field are that the candidate must by an energetic, enthusiastic and above all hard working. The professionals in this industry are also getting good remuneration as well. Keeping in view the growing requirements of employees in the Logistic and Shipping industry, we offer the best services of Human Resource consultancy. We have well-maintained database of the deserving candidates from where we select the best talents for the recruiting in aviation industry.